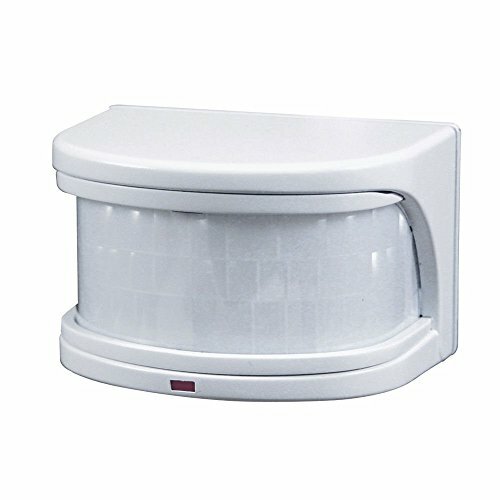 SL-5716-WH-A Features: -270 Degree replacement motion sensor.-Material: Plastic.-Up to 100 feet detection range with adjustable detection sensitivity with auto dusk-to-dawn.-AlertFlash and BulbSaver which extends life of bulb up to 4 times.-Selectable light timer: Test, 1, 5, or 20 minutes.-Patented dualbrite 2-level lighting technology. Color/Finish: -Color: White. Assembly Instructions: -No assembly required. Dimensions: -Dimensions: 2.75'' H x 3.13'' W x 4'' D. Warranty: -2 Year manufacturer's warranty.